Get ready for the new season with these floaty shorts. 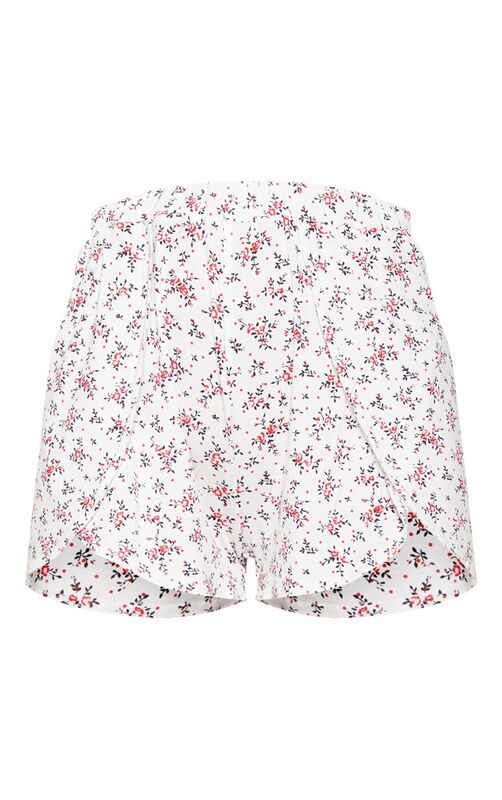 Featuring a white material with a contrasting ditsy floral print and an elasticated waistband. 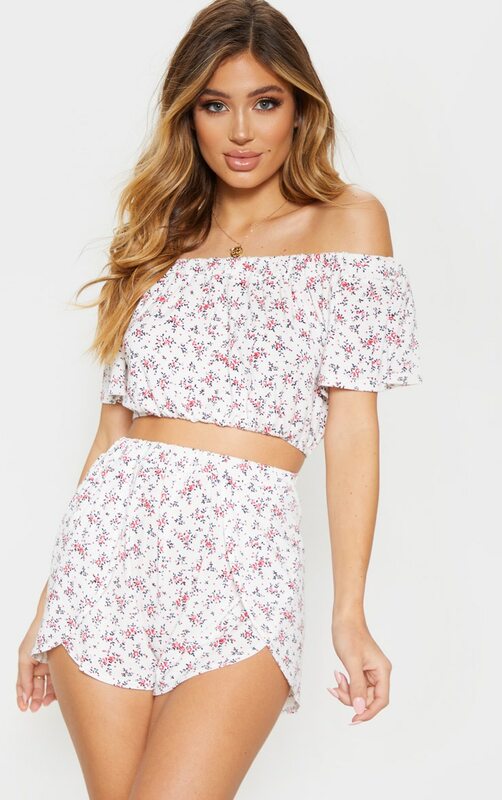 Team this with the matching top and flatform sandals for a combo we are loving.